As seen on Gearz with Stacey David. 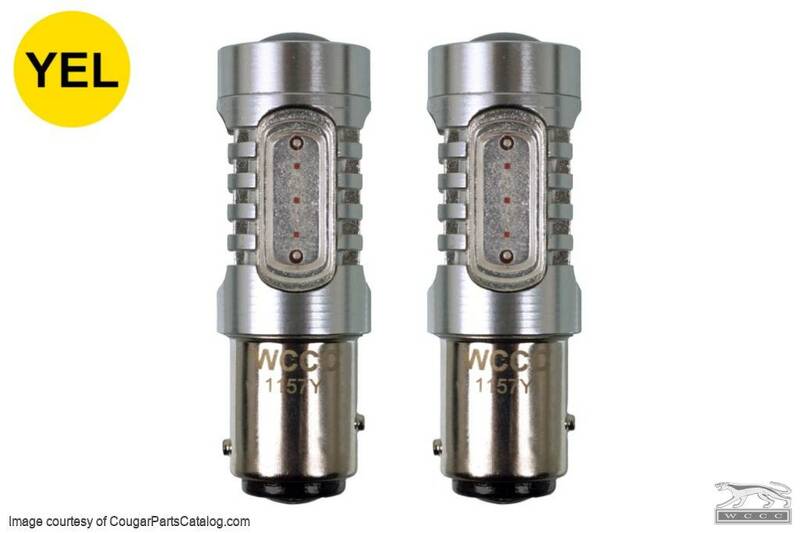 If you're looking for the best and brightest lighting for your car, look no further. 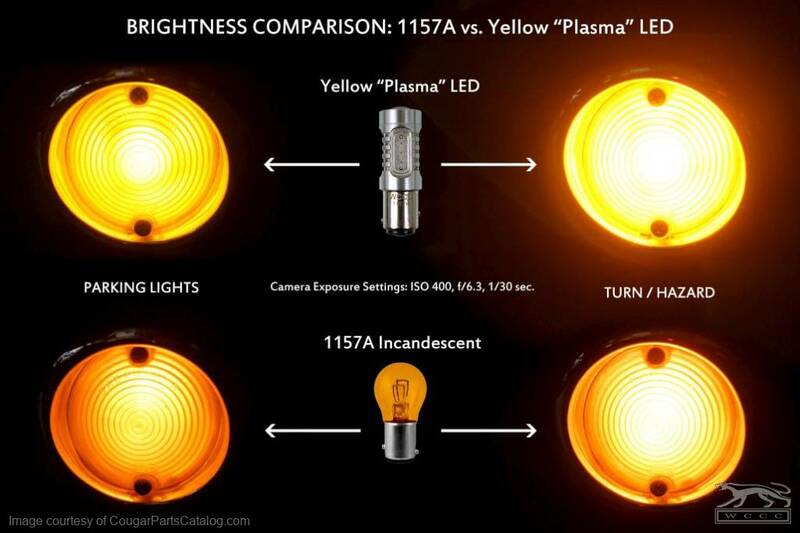 Plasma LED 1157 replacement bulb in YELLOW for your parking / running lights. Much brighter than stock, more responsive, and less power draw. We won't go so far as to call these little guys AMBER, but they're definitely yellow. 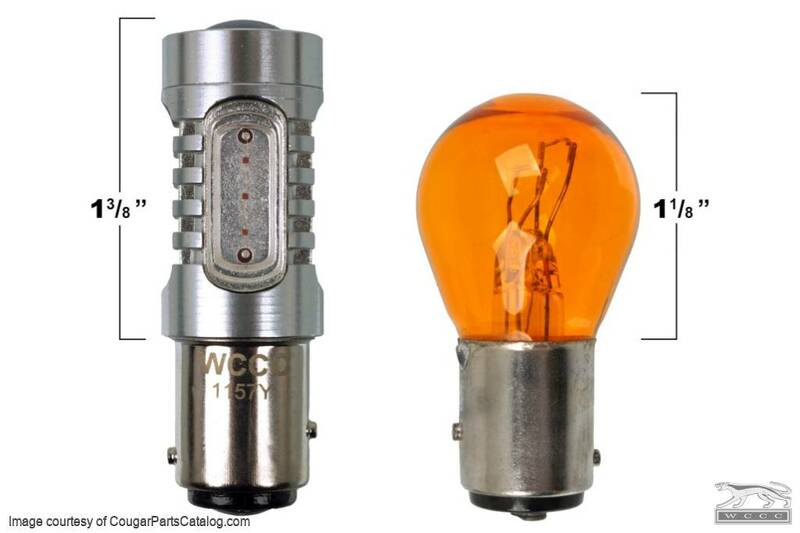 Good for your 67 - 73 Cougar, Mustang or anything else that takes a dual-filament 1157 bulb for marker lights or turn signals. 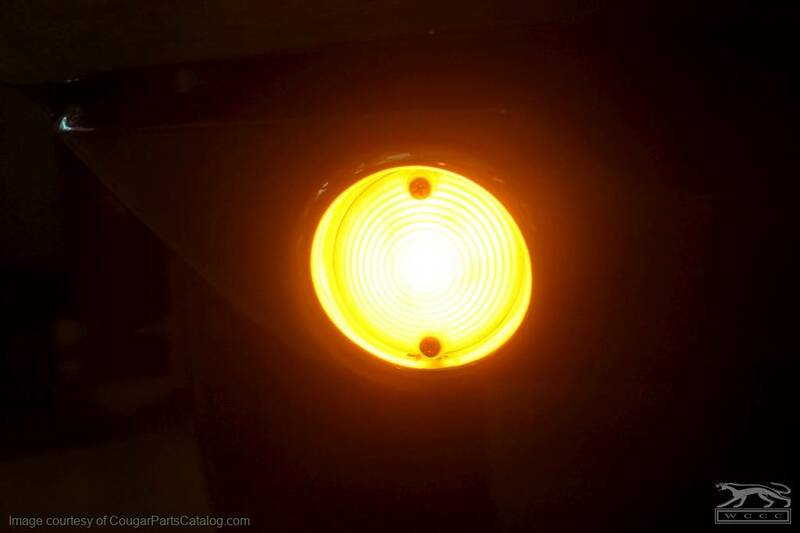 The light they put out is perfect, much brighter and more like a modern car with halogen or LED lights. Easily seen during the daytime. Install was easy and they fit the existing sockets perfectly. The light looks very uniform through the lenses, you don't see any bright spots or individual LEDs. I really like these plasma LED lights. 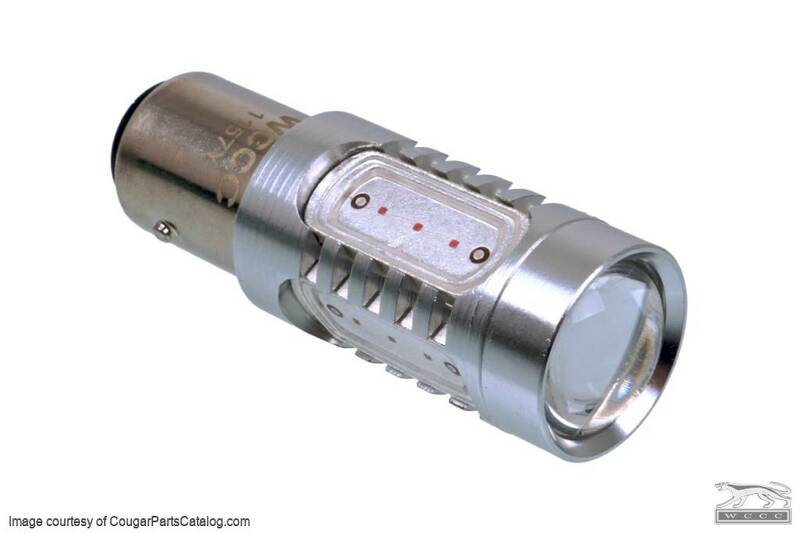 I am slowly (but surely) converting all of the lights on my car to these plasma LED lights. If you buy the red ones and the relay, the yellow is a must.